We’ve been developing a way to make most of the machining algorithms work in parallel to take advantage of these multicore processors that are beginning to have around here. Unfortunately, the Danes beat us to it, and have put in their own versions of some of the necessary modules. There’s one which is concerned with avoiding testing the cutter against the same edge multiple times, and you do it by marking that edge with an integer. It’s a common trick. The naive version is to put a bool into every edge, set all values to false at the beginning of a run and then set the value to true as you encounter each edge. This way you can tell whether you’ve seen the edge before. Unfortunately the loop where you reset all the values to false at the beginning of the next run takes time. The better version is to use an integer which is set to zero originally. You then increment a register at the beginning of every run starting with one. This number is not the same as any of the zeros associated to any edge, so if you set it to one every time you visit an edge, you can tell that you have seen it before. For the next run you start with two, which is a number not shared by any of the values already there. Oh well. I’ll put up with it for now. I’m back from the French Pyrenees with far too much gratuitous cycling. Still a week on, I can’t stretch my legs comfortably. 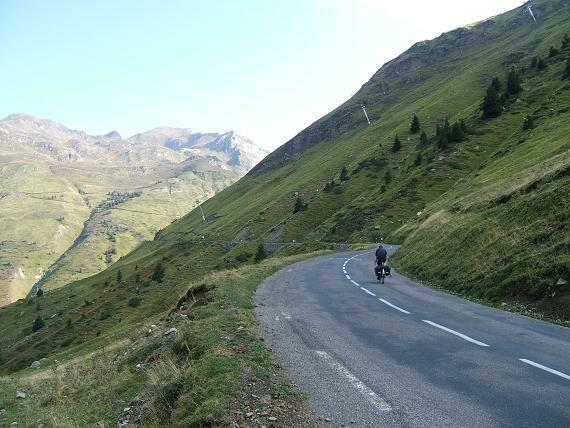 Here is a picture taken on the interminable climb up to the Col du Tourmalet (the bad turning). It took some hours of nothing but up-hill peddling. I brought a round of cheeze back from France for Martin. His collarbone which he broke before he could come on this holiday is almost healed. I’m not settling back into work so well. Just reading lots of internet and getting not a lot done. I’ve fixed a couple of bugs, played around with some of the machining parameter names, and seemed to have lost my list of things to do. Never mind. 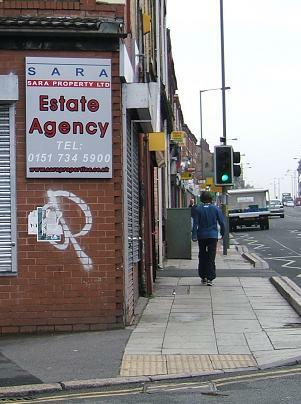 There’s a letting agency up the road from us that got closed down for terrorist activities earlier this year. Martin remembers visiting it when he was looking for a house in the area last year. The authorities tell us that we shouldn’t be alarmed, since the terror was not threatened on the streets of Liverpool. Well, what do they know? Back in 1996 the UK government backed the LIFG in an assassination attempt against Colonel Gadhafi, the dictator of Libya. This was only ten years after Ronald Reagan ordered an unprovoked bombing raid from US bases in the UK all the way into Libya. In those days, Colonel Gadhafi was the terrorist, and in George W Bush’s immortal words, “You’re either with us, or you’re with the terrorists.” You might therefore have reason to believe that if you were fighting with us and against the terrorists of the day, you were one of the good guys. Unfortunately, there is no way to tell who are the terrorists, because the terrorists are simply those whom the government says are terrorists. Alliances shift like the flow of oil, and suddenly Colonel Gadhafi was no longer a terrorist. You may have thought you had been fighting a terrorist, but it seems were not; you were fighting an ally, so now you are a terrorist. This is politics, not law, so the crime can be backdated. Anyone who ever attacked Colonel Gadhafi in the past, even during the years when he was officially a terrorist, is now a terrorist. Arresting all these terrorists is one way to prove to your new ally that you really like him. Never do something covert for a government; you will always get stabbed in the back. There are a number of appropriate extrajudicial tools for dealing with terrorists — those people who have been designated as terrorists. They can be blown up, they can be detained without charge, or they can be destroyed economically by threatening anyone who ever makes an financial transaction with them. Proper judicial sanctions are out of the question because judges tend to work on the basis that if you are being done for doing something wrong, it had to have been wrong at the time you were doing it. It obviously violates basic fairness to allow changes in interpretation of the past when when these people don’t have the power to change the past. On February 8, the US Department of Treasury designated five Libyans in the UK for supporting the LIFG: “[T]hrough a sophisticated charitable front operation and other companies, the individuals designated today have financially supported LIFG’s activities” which included mounting “several operations inside Libya including a 1996 attempt to assassinate Qadhafi”. I don’t know the facts of this allegation, or whether these men even had anything to do with helping the UK government against a then-terrorist dictator, since no case has been presented. All I do know is that the name Mohammed Benhammedi, and the business he runs, Sara Properties, up the road, has been put onto the list. The message goes out to the Al-Qaida and Taliban Sanctions Committee of the UN — a wholly owned subsidiary of the US government — where it duly gets copied onto their list. [A person] on the Committee’s consolidated list may petition the government of residence and/or citizenship to request review of the case. In this regard, the petitioner should provide justification for the de-listing request, offer relevant information and request support for de-listing;… The petitioned government should review all relevant information and then approach… the designating government to seek additional information… If, after reviewing any additional information, the petitioned government wishes to pursue a de-listing request, it should seek to persuade the designating government to submit jointly or separately a request for de-listing to the Committee. Any person who, except under the authority of a licence granted by the Treasury under this article, makes any funds available to or for the benefit of a listed person or any person acting on behalf of a listed person is guilty of an offence under this Order. For each person in the list, there are a dozen aliases with Arabic names that are probably the equivalent of “John Smith”, guarenteeing the possibility of hassling millions of people on the basis of mistaken identity because of their dark skin and funny name. Well, that sorts out the money, which may or may not be wholly to do with charitable gifts to places in the Middle East. How about the body? Mohammed Benhammedi gets arrested for “immigration offences”. His Lithuanian girlfriend’s father gets arrested because he works at a nuclear plant. I guess it takes a government official to understand the connection. There either is some plot by a Libyan to attack a nuclear reactor in Lithuania for the purpose of which he seduces a relative of an employee in another country, or the police are making senseless trouble because they can think of nothing better to do. The information trail dries up at this point, but one of the other five, Taher Nasuf who may or may not have any connection with the Liverpool man, got arrested again on the same not-called-terrorism-at-the-time terrorism charges on 26 May. [T]he Court of First Instance confirms that… the European Community has competence to order the freezing of individuals’ funds in the context of the battle against international terrorism. Such a measure does not infringe the universally recognised fundamental rights of the human person (jus cogens)… the Court goes on to recognise that freezing of funds constitutes a particularly drastic measure, but adds that that measure does not prevent the individuals concerned from leading a satisfactory personal, family and social life, given the circumstances. In other words, without any access to money, you can live like the Queen who gets by without carrying any cash. Bear that in mind when you next get robbed. I want to go see Gaddafi – the Opera, but unfortunately I will be away cycling in the Pyrenees for two weeks. This is a pity. Our current clutch of world leaders are such a pack of comedians that to report them in the serious tone of the news is wrong, because their jokes fall flat, and we don’t get them. We should be laughing.